Yesterday at MIX, the focus was on the desktop and Internet Explorer 10. Today that all changes, with the focus squarely on Windows Phone 7. Paul Thurrott has shared some insight as to what’s on tap for today. Nothing catches us by surprise, but perhaps we’ll get some dates to accompany information on Mango, which will represent the first major update to Windows Phone 7. In short order, here’s what’s on top. An update on Mango, expected to offer better browsing and improved tools for developers. Part of that improved browsing experience will be due to Internet Explorer 9, which will offer HTML 5 support and hardware acceleration. Multitasking: This will help bring Windows Phone 7 on par with competing operating systems. More importantly, this ends up being a speed improvement. No more waiting for apps to load when switching. Mango will introduce “fast app switching”. Expanded access for developers to camera and motion sensors. 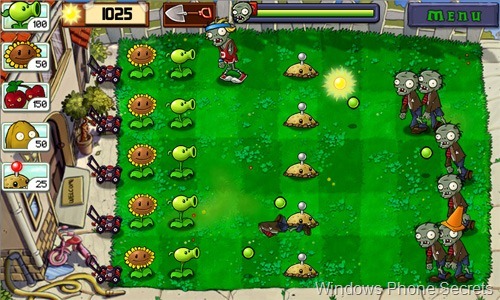 They are expected to showcase a number of apps, including Plants vs Zombies. All in all, it should be a good day for developers. It will be interesting to see if they discuss the still MIA (testing) NoDo update for AT&T phones. More importantly, steps being taken to avoid this from happening when Mango hits. Making users wait for copy and paste is one thing. Mango is a major update, so the heartache will be greater if the delays are anything like what has been experienced with NoDo.